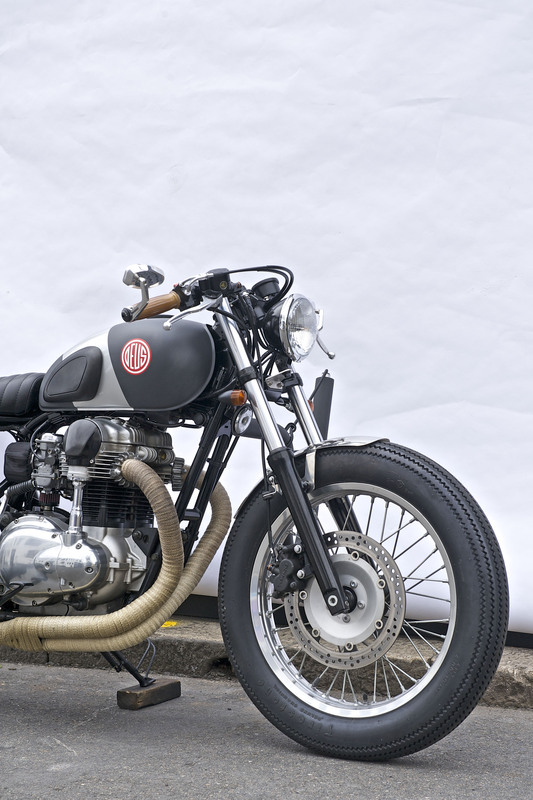 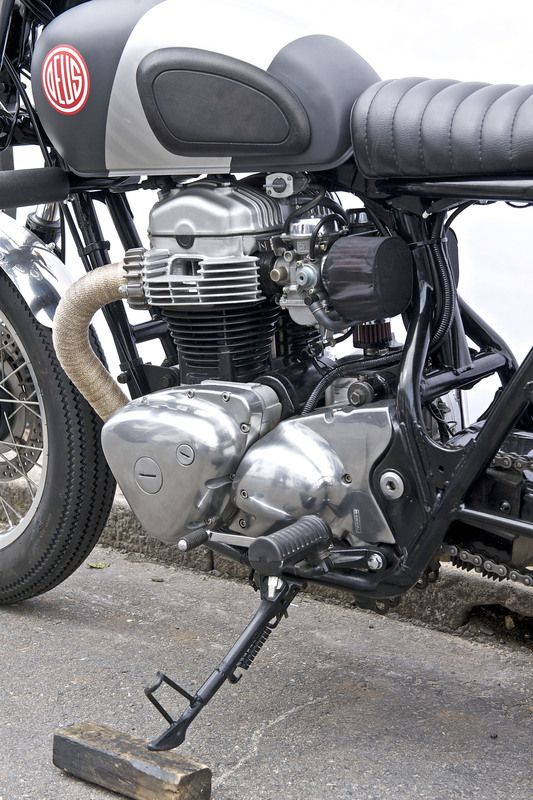 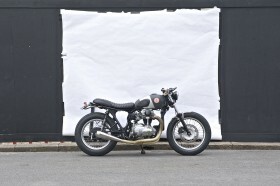 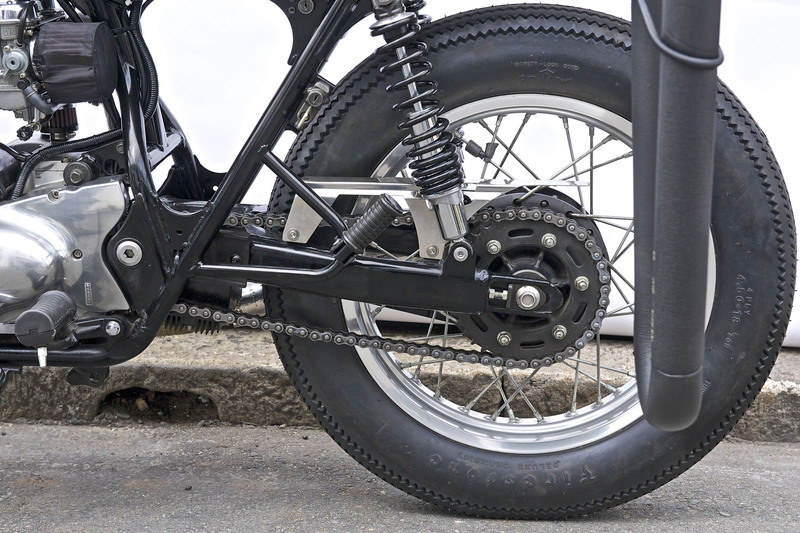 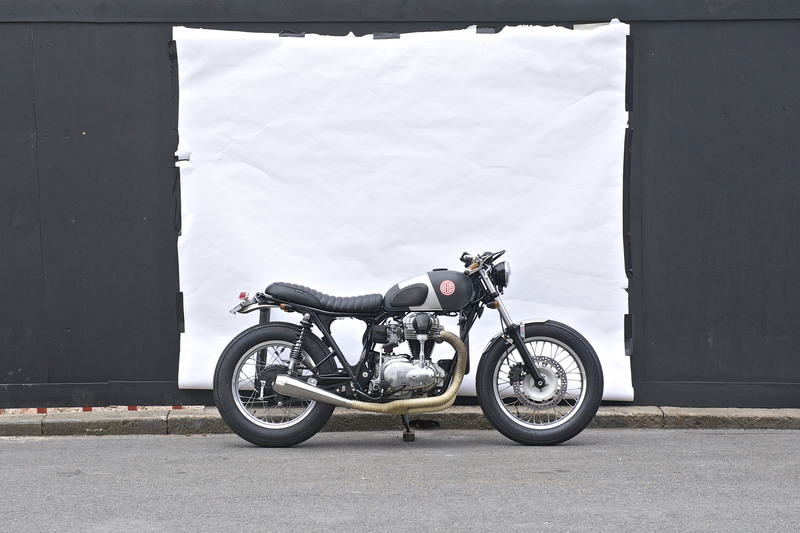 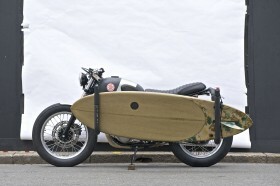 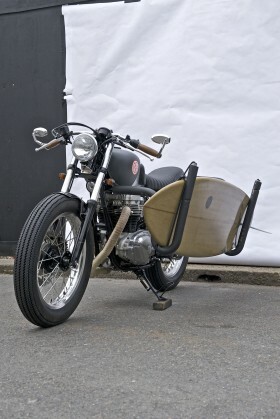 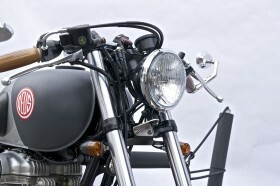 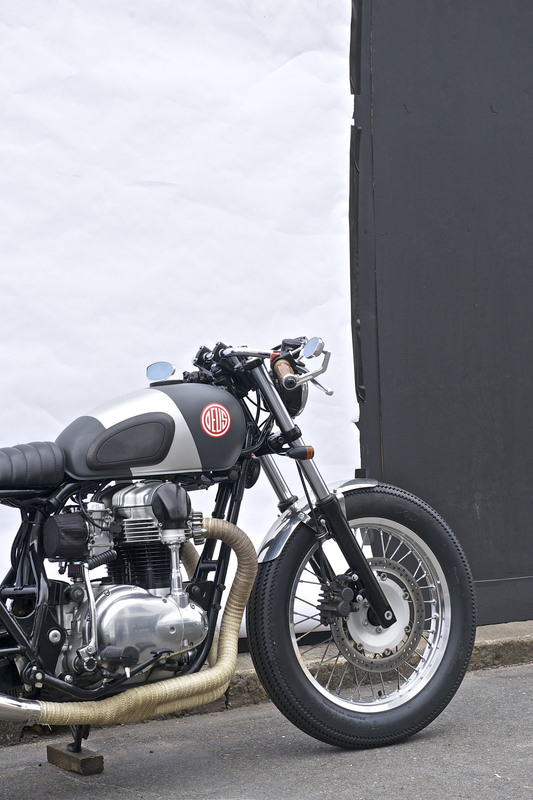 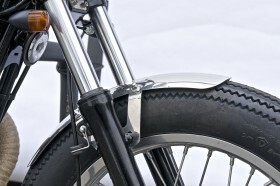 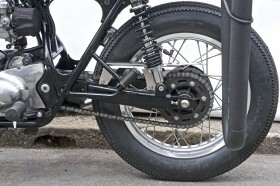 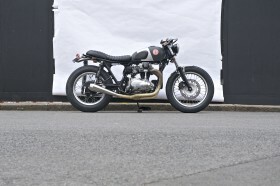 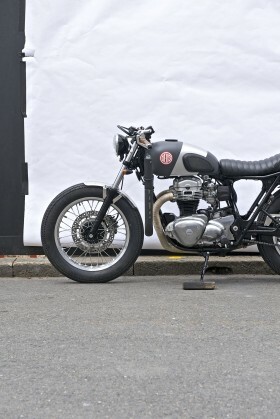 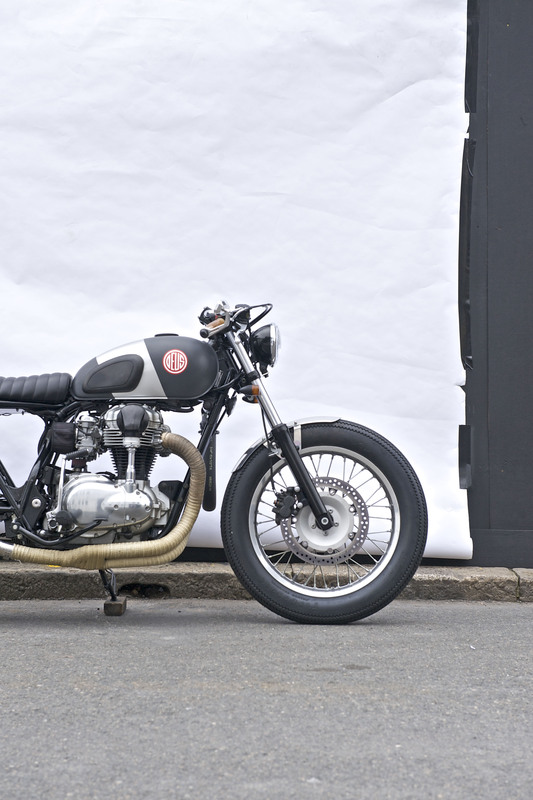 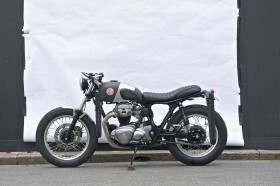 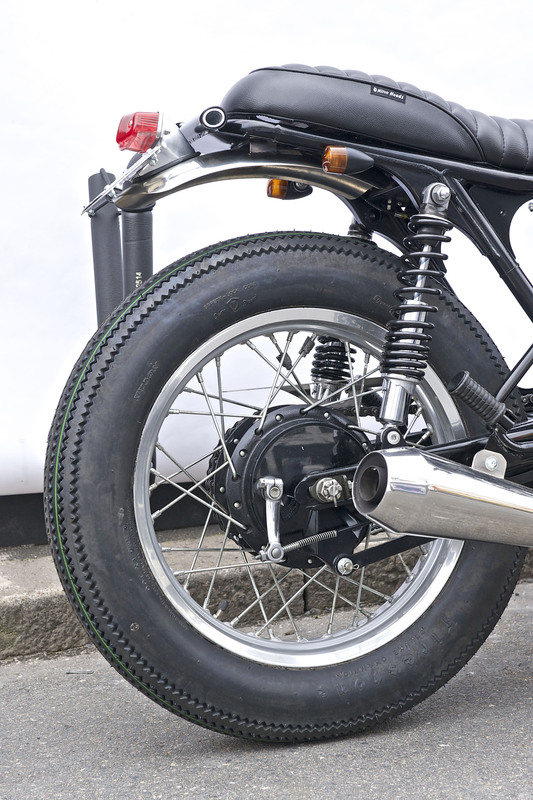 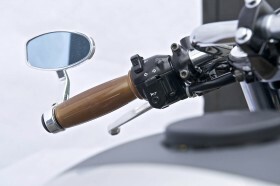 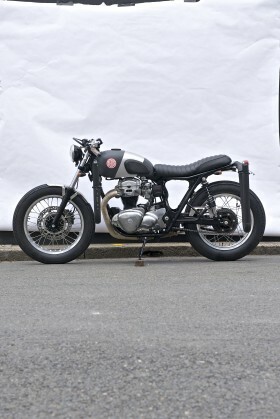 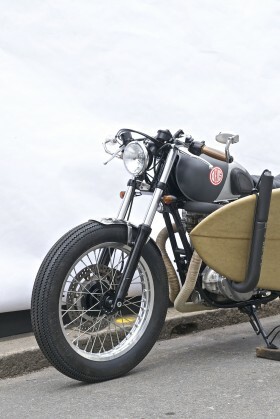 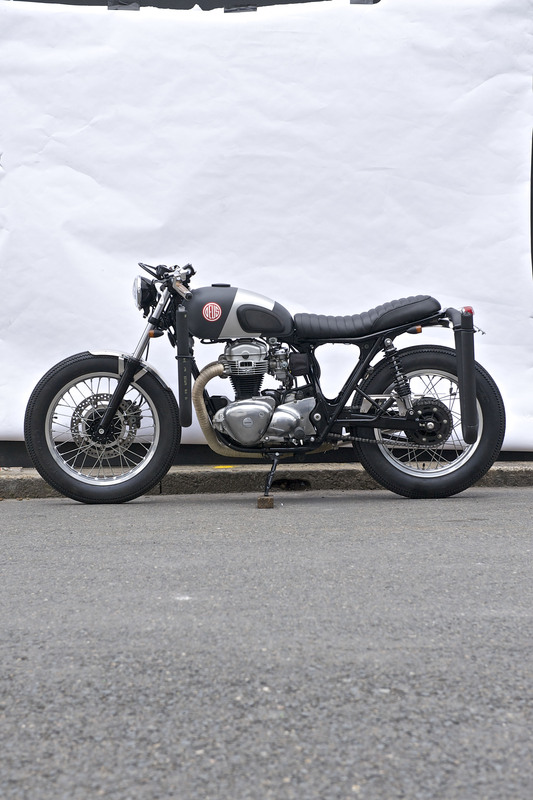 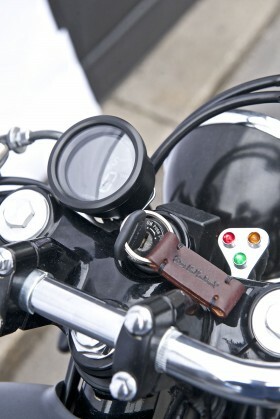 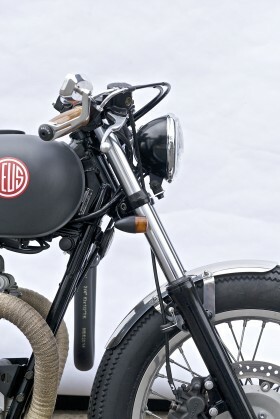 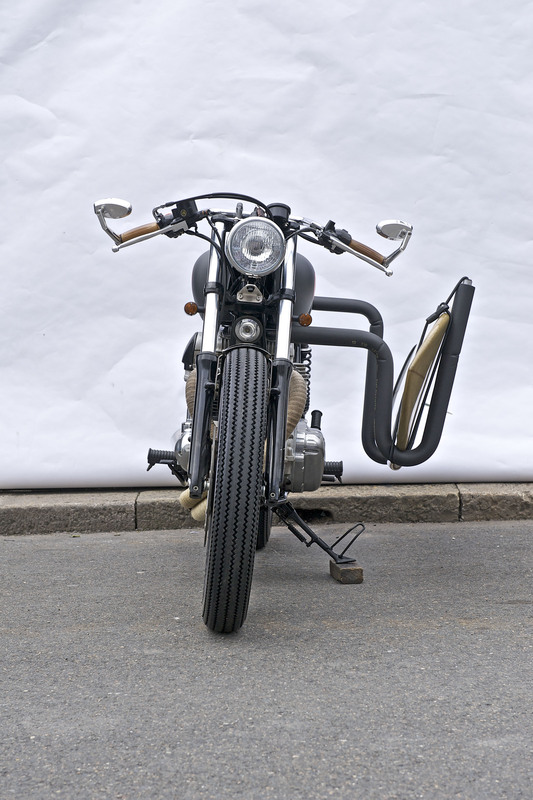 We were approached with a simple enough brief, ‘surf bike please, based on my W650, low and lean’. 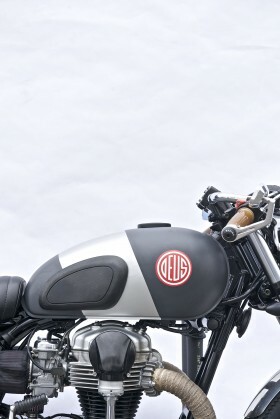 Styling cues were borrowed from our ‘Gicleur Noir’ from a few years back. 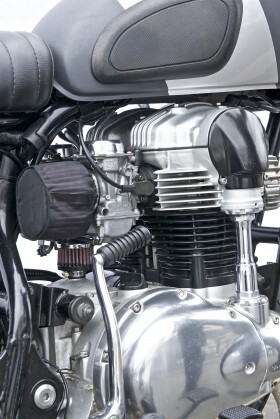 With the air box completely removed O2 is gulped via re-jetted carbs to twin K&N filters. 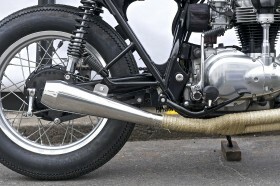 Carbon gasses evacuate through carefully bent headers from Japan, leading to a Foran reverse cone muffler offering performance and a tasteful note. 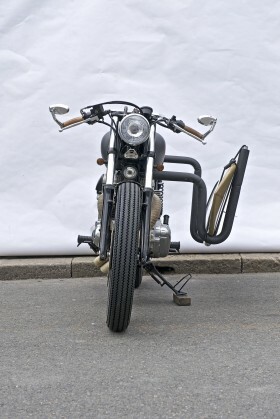 The battery is now neatly nestled under the swing arm with the balance of the sparky stuff under the seat to achieve a less is more look. 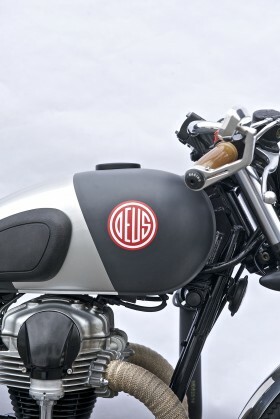 Form and function is important and comes by way of Deus bespoke quick release board racks. 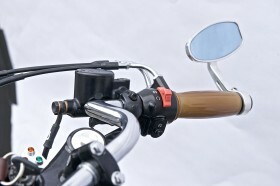 Custom ace bars, digital clock, custom stainless front and rear fenders, Bates style head light, Rizoma mirrors and indicators from Posh compliment the now lowered stance of the W.
Rear suspenders are shorter Ikon units enabling the Firestones contact with the black top, while Jeremy has modified the forks internals for appropriate ride height. 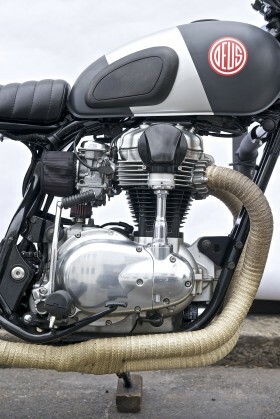 ‘Red Pill’, to be taken twice daily. If symptoms persist, double the dose!